PopCap Games is appealing a $4.6 million loss in a lawsuit filed by fellow casual game company MumboJumbo, which claimed its former business partner engaged in fraud, tortious interference and breach of contract. The two companies signed a deal in 2006 to have MumboJumbo "produce, distribute and sell" some of PopCap's games in the North American market, but at some point after that PopCap decided to cut MumboJumbo loose and go it alone. 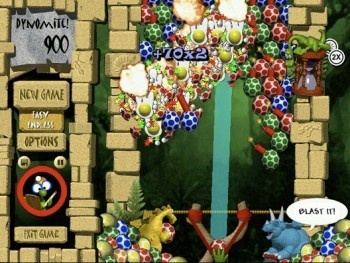 Over the course of a 12 day trial, MumboJumbo's lawyers asserted that because of that decision, PopCap "severely damaged the business relationship between MumboJumbo and a key retailer," backing up those claims with internal PopCap emails demonstrating that the company used "false and misleading statements in order to sour that business relationship." The jury agreed, smacking PopCap in the chops to the tune of $4.6 million in actual damages plus legal fees, which will be determined and added to the pile later this week. "The law allows you to do plenty of things to be successful in business," said MumboJumbo attorney Marty Rose. "However, it does not allow you to commit fraud or interfere with a company's business relationships. The jury's verdict is a clear signal that this type of business conduct is not going to be tolerated." The casual courtroom drama isn't necessarily over yet, however. Following the verdict, PopCap Vice President of Public Relations Garth Chouteau announced that the company would appeal the decision. "PopCap continues to believe that it did nothing wrong in this case, and will vigorously pursue its claims and defend itself through the appeals process," he said.